The National Championship is now behind us, but that is how it will be like from now on. We can’t think or talk too much about it. We have taken all the positive aspects Jerry did during that tournament so that we can work on the ones we agreed needed improvement, and moved on to the next challenge. We were focused on training well and improving things that needed more work. Three weeks before we started preparing for the tournament, we remembered last year’s outcome, and how we lost in the quarterfinals. This time, before we started our first practice we didn’t talk about a goal for this tournament, and by the end of that session, without saying a word, we both knew what we were aiming for: the championship. We knew it would be a big and important challenge and preparation needed to be great in order to be ready for it. 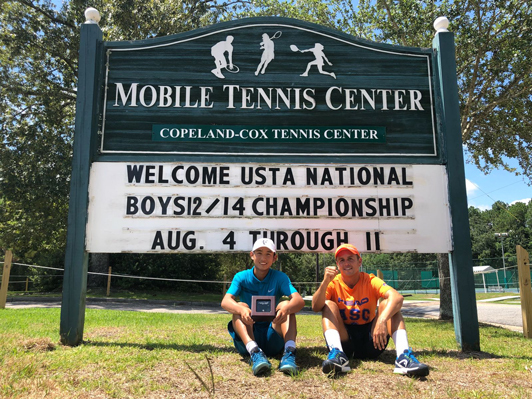 Being at the National Hard-Court Championship in Mobile with Jerry seems like it happened long ago even though it has only been 2 weeks. 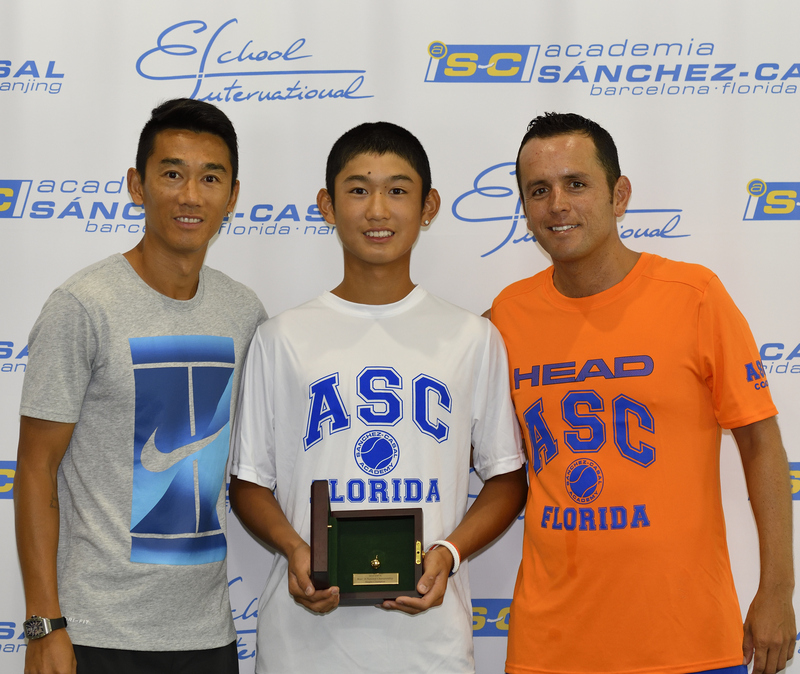 I am proud of Jerry and the way he handled himself throughout this tournament, especially during the last three matches. Talk about a more mature player who has learned from his past experiences! It is very important that he keeps this mentality and continues to learn from each situation and take it one point at a time. 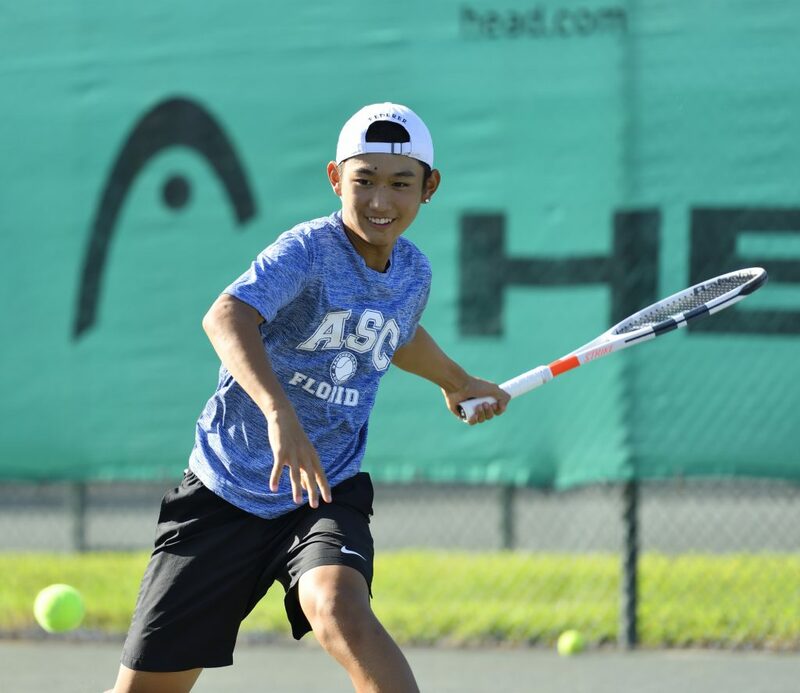 Each match is different, each match represents a different challenge, and Jerry must keep his focus in the process so that he continues to develop integrally as a tennis player. 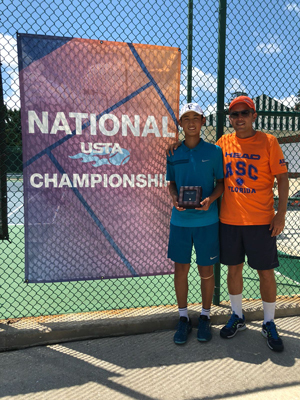 This entry was posted in Coaching, Emilio Sánchez, Tennis, Uncategorized and tagged China, coach, Emilio Sanchez, Jerry Shang, Junior Tennis, Naples Florida, Sanchez-Casal, Sánchez-Casal Academy, Tennis, tennis academy, Tennis players, Traveling Coach. Bookmark the permalink.